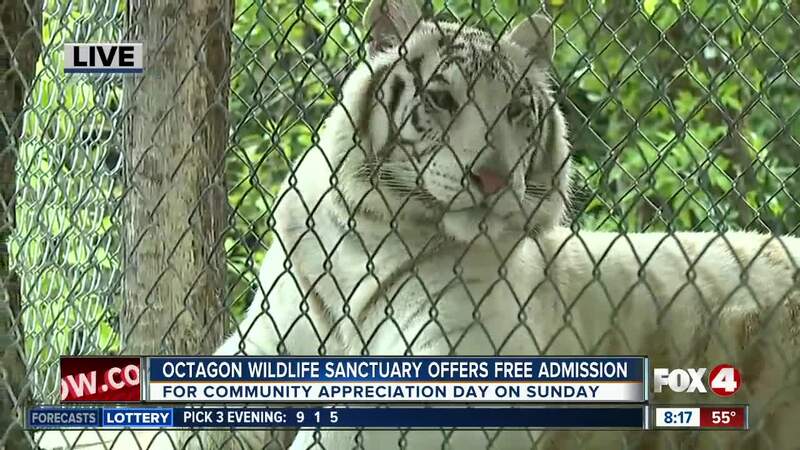 Octagon Wildlife Sanctuary in Punta Gorda holds a community appreciation day on Sunday with free admission, face painting, food vendors, 50/50 raffles and games. 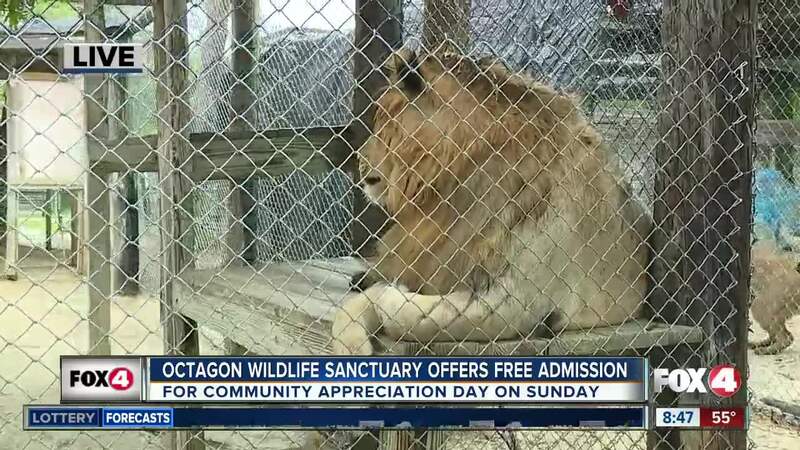 PUNTA GORDA, Fla. — Octagon Wildlife Sanctuary in Punta Gorda holds a community appreciation day on Sunday with free admission, face painting, food vendors, 50/50 raffles and games. This sanctuary is home to over 150 exotic animals. It's located at 41660 Horseshoe Road in Punta Gorda and is open daily. Hours Monday through Friday are 9 a.m. to 12 p.m. and Saturday and Sunday from 11 a.m. to 4 p.m.